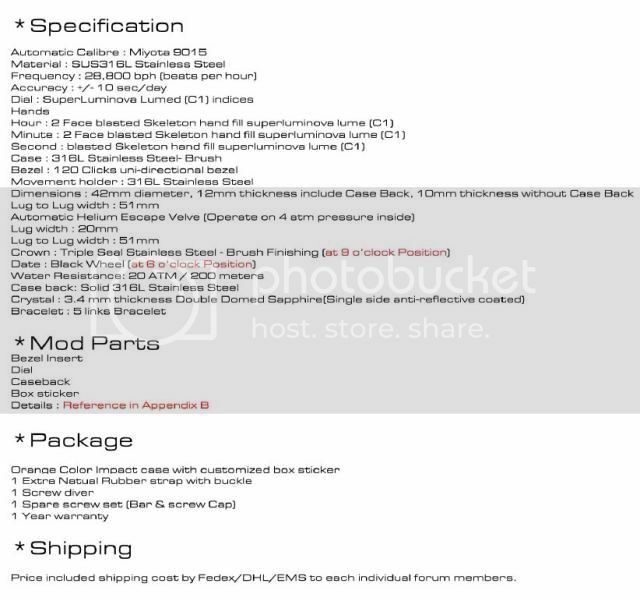 hands will be stock hands, initially we are doing orange lume for secondhand but for 50pcs, it is another 1300usd additional. customising another set of hands will probably set us back another few k in USD and that is why we are using back the stock hands. Will our project watch have about same of all the features as per the Obris Morgan EXPLORER-II ? Which it is starting pre-order now. The EXPLORER-II blue color is Dark Navy Blue, if our project watch have the same Dark Navy Blue, it will be very NICE ! I cannot really tell the blue frm their pic, will have a look at it later. It looks black on my hp screen,haha. But since we are ordering at the same time with this Explorer-II release, with also the same price why not we request for the same specs, especially for "3.4mm Double Domed Sapphire", "Super Enginner 4.6mm thickness 5 links Bracelet" & "Triple Seal Screw-in Crown". still awaiting payments from some bros.
Bestest deal and customised somemore! Cool! what a Christmas Present. Rock on. Glad to be part of this project. Guys, anyone wishes to pull out or back out? Got ready buyer for the SCS watch. Pm or call 90038310. Cheers! Guys, received the Technical Drawings from Justin. Very efficient and on the dot on his words. I'm glad we're working together with Obris! 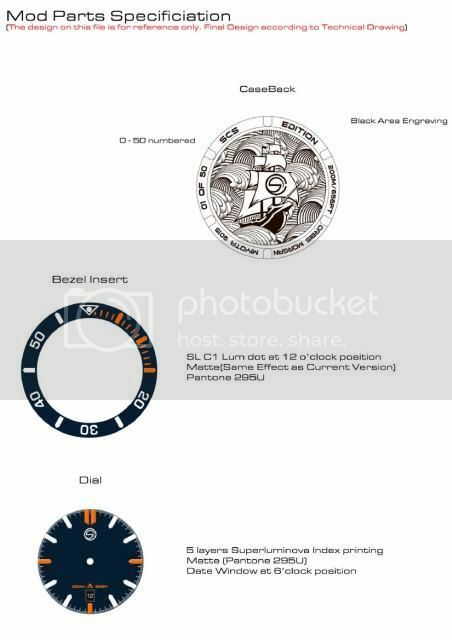 Here are the T.D of dial, caseback and bezel insert. Thanks for the update CEO! I can't wait to molest the final product. Cool. First time buying a watch that comes with it's blueprint. Great update... can hardly wait! Probably my first watch in 2015.